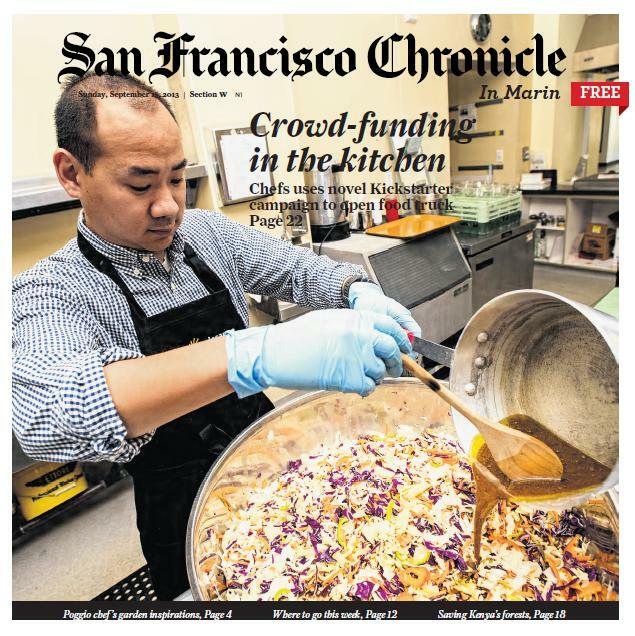 DRUMS & CRUMBS « Drums & Crumbs Cover Of The San Francisco Chronicle In Marin Sunday Magazine! Last week, we had two visitors at the kitchen. The first was Carey Sweet, a writer for the San Francisco Chronicle, and the second was a photographer. 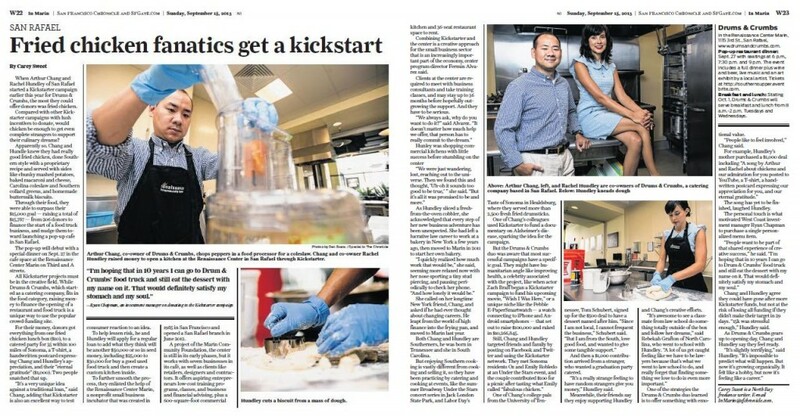 We knew we were going to be part of a feature story in the Chronicle’s Sunday magazine for Marin County. What we didn’t know was that we would be the cover story! To read the story, click here and here. « Join Us For A Southern-Style Supper With Drums & Crumbs On Friday, September 27!